Hungry? Fiber One To The Rescue! Fiber One has unleashed a trio of new products to help battle the munchies. 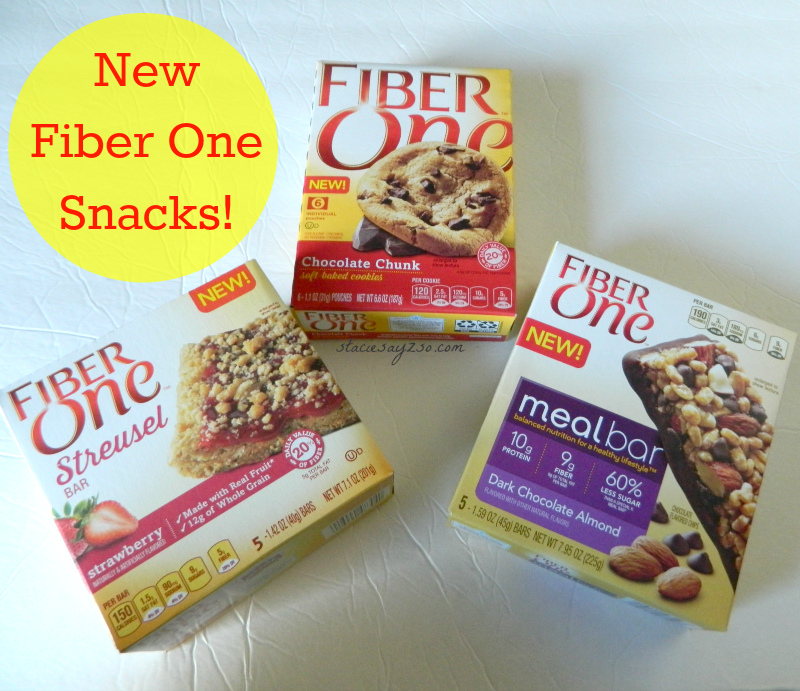 New Fiber One Strusel, Fiber One Mealbar, and New Fiber One Cookies are loaded with fiber and other good things. All these Fiber One treats can found at your local Target. Fiber One meal bar can help curb hunger with 10 grams of protein and 9 grams of fiber. This will be great paired with a banana for breakfast. The Fiber One Strusel bars are small but delicious! With 20% daily value of fiber, 150 calories per bar, and 12 grams whole grain, you're sure to get a nutritional snack that's tasty too. When my kids saw the box of Fiber One cookies, they got excited and started signing and dancing. Yes, they are that good. Fiber One cookies are soft, chewy, and contain 20% of your daily fiber value. I'm not sure if I like the cookies or the strusel bars better. It's a tie, for sure. The meal bars are good, but the Dark Chocolate Almond was a bit salty to me. Still, with all that protein, it would be great before/after a workout or soccer practice. Which snack do you like best? I have seen these before, but I don't think I've tried them. I like breakfast cookies though. They're really not bad, Petula. The Fiber One Streusel is my fave too. I wish it were a bit bigger though. Victoria, I can't start a day without breakfast! Eat something even if it's just a piece of fruit. You're welcome! I like snacking on nuts and seeds as well.